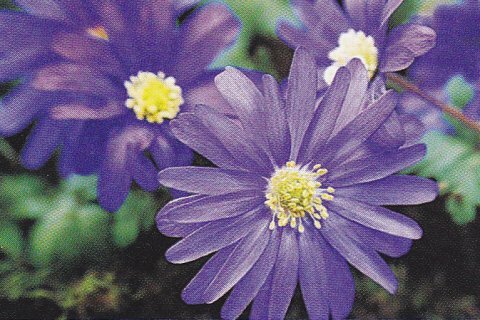 A. blanda'Violet Star' Violet-coloured flowers. 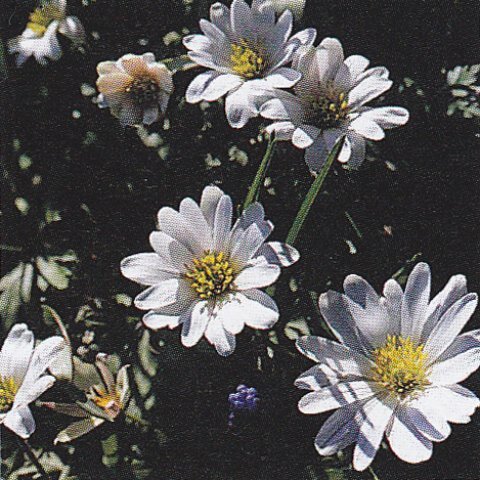 Clump-forming perennial with irregularly lobed leaves & yellow-eyed, daisy-like flowers. 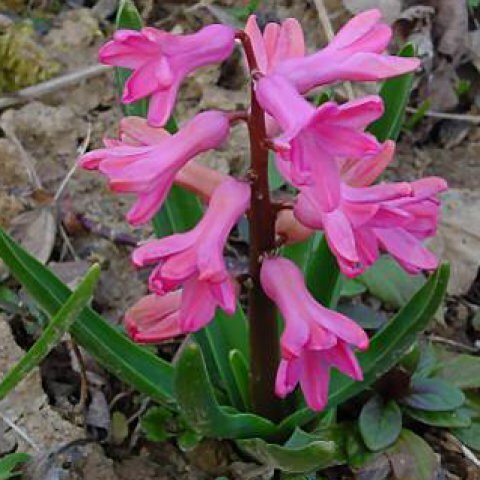 This is a vigorous and free-flowering cultivar. In autumn, soak tubers overnight and plant 5cm deep. Place in full sun. Keep damp, but stop watering once foliage dies back. Keep tubers dry in their planters or store in dry sand until you replant them in autumn. You can produce more plants by careful division of tubers. have a central silver stripe. 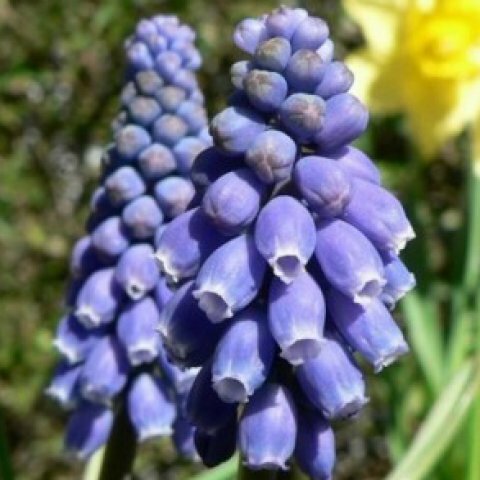 Grape Hyacinthes are related to Hyacinthus and include about sixty species. 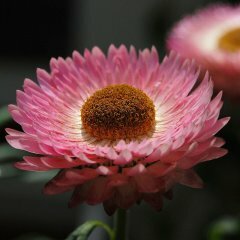 They are hardy dwarf plants and look pretty planted in a window box. They have tiny blue to purple flowers in conical heads that look like minature grapes. 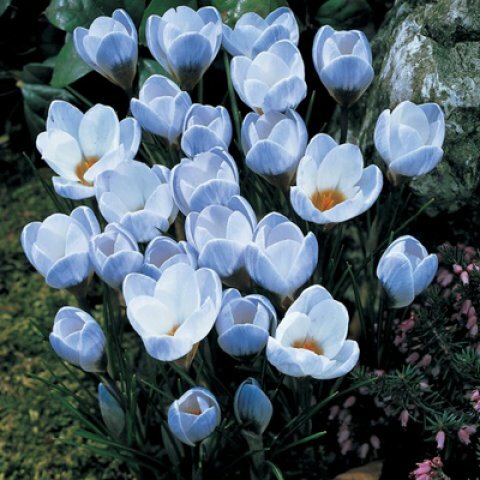 Plant in in late summer to late autumn in a well drained general purpose compost at a depth of 7,5cm. Site in full sun. Shade increases leaf growth but reduces flowering. Keep the compost moist but avoid waterlogging. Apply a liquid feed from time to time during the growing season. Propagate by division every three years. 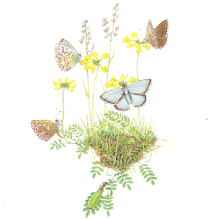 Lift the plants when the leaves turn yellow and then replant immediately.